B-Dirt Construction (Brainerd MN) is as ready for warm weather and summer fun as anyone! As your best builder for the Brainerd Lakes Area and beyond, B-Dirt (Brainerd MN) can help with your outdoor needs and wants! From decks to screen porches, from patios to concrete fire pits, we can do it all! Contact us (218) 821-5243 if you are starting new or want to add on to an existing structure! B-Dirt in the MMBA Home Tour! 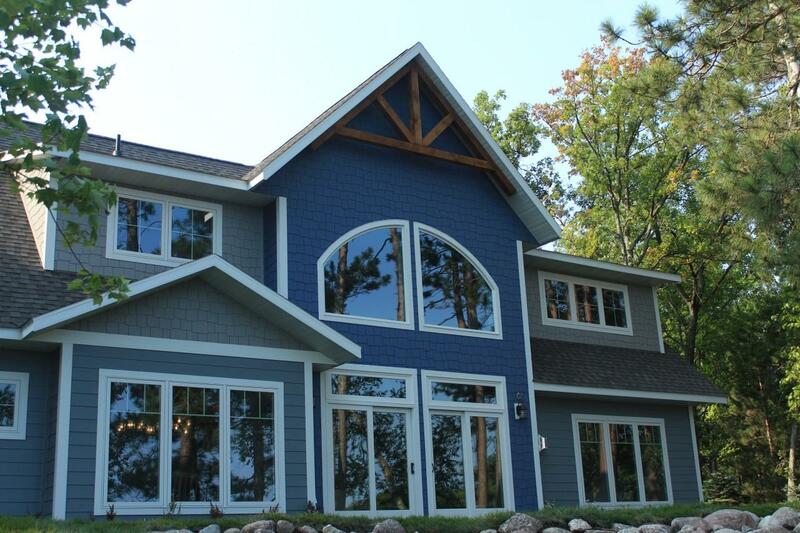 B-Dirt Construction is proud to feature a newly constructed home/lake cabin in the MMBA Spring Home Tour this weekend! You will find this charming “cabin” warm and inviting. This Lakehome is well laid out for its size. All our homes are built on ICF (Insulated Concrete Form) Foundations. Stamped concrete exterior patio, custom cabinets, beautiful fireplace and wood throughout. 371 North of Baxter about 3 miles. Turn Left on CR-77, go about 7 miles and turn Right on CR-70. Go about 1 mile, turn Left on Scenic, then turn on Birch Island Road. Please visit us and let us know how we can make your lake home/cabin dreams come to life! Happy Thanksgiving from B-Dirt Construction! A belated Happy Thanksgiving to all of our customers, employees, sub-contractors, suppliers and website visitors! We hope you had a happy holiday weekend! It sure got cold here in the Brainerd Lakes Area! If you are dreaming of summer already and want to have a cabin to enjoy your time in, please look through our photos or come see us and we can help make your dreams a reality! The cabin featured in this photo is located on Gilbert Lake. 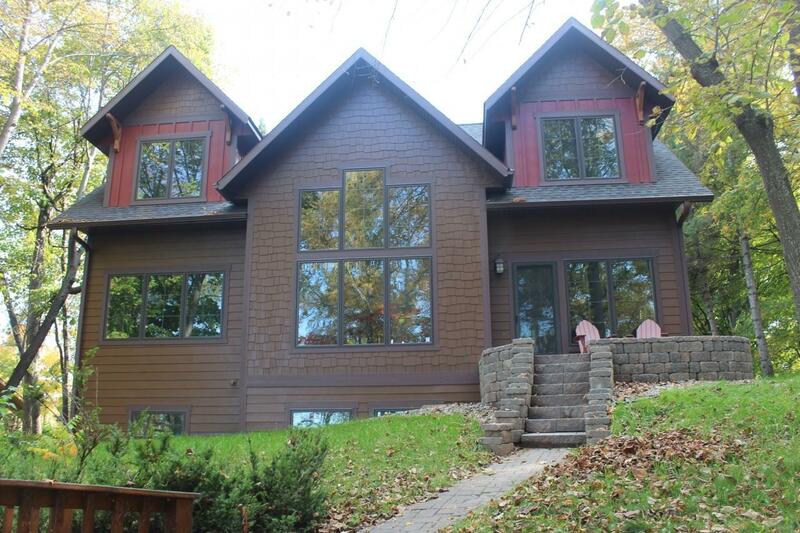 It is very homey and has a terrific lake view! Happy Halloween from B-Dirt Construction! Be safe tonight as you are out and about with your little guys and ghouls! We hope you have a cozy place in your home to snuggle up with your family. 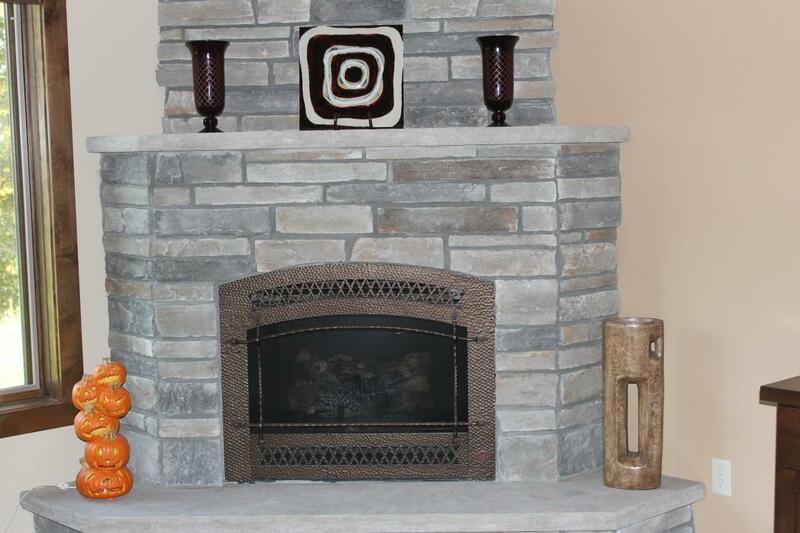 B-Dirt Construction is your best builder for custom fireplaces! 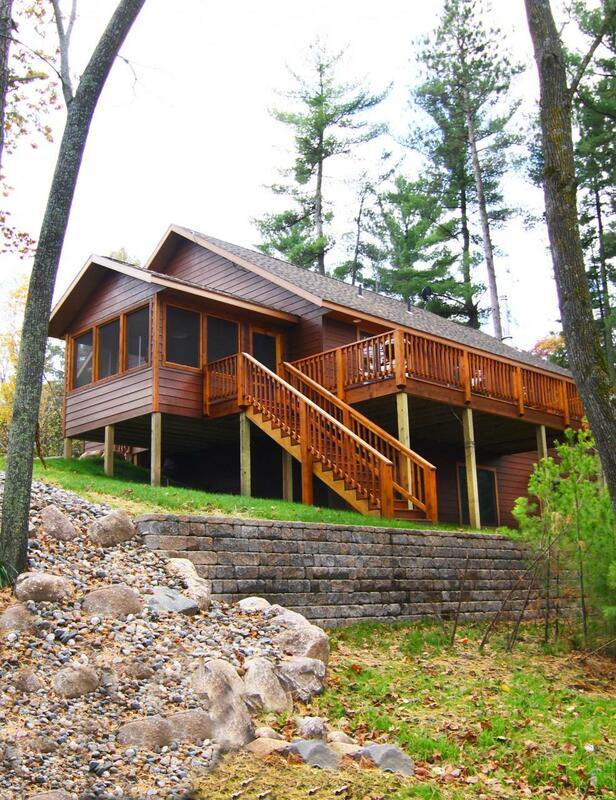 This newly constructed custom cabin is located on Gull Lake's beautiful Birch Island. If you have considered building your own dream cabin in the Brainerd Lakes Area, please be sure to contact B-Dirt Construction, the area's best builder, to see your dreams come to life. Come see us now so that you can be well on your way to enjoying the summer of 2014 in your very own cabin on the lake! When it gets too cold to enjoy the great outdoors, be sure you have a cozy place to be inside your home! 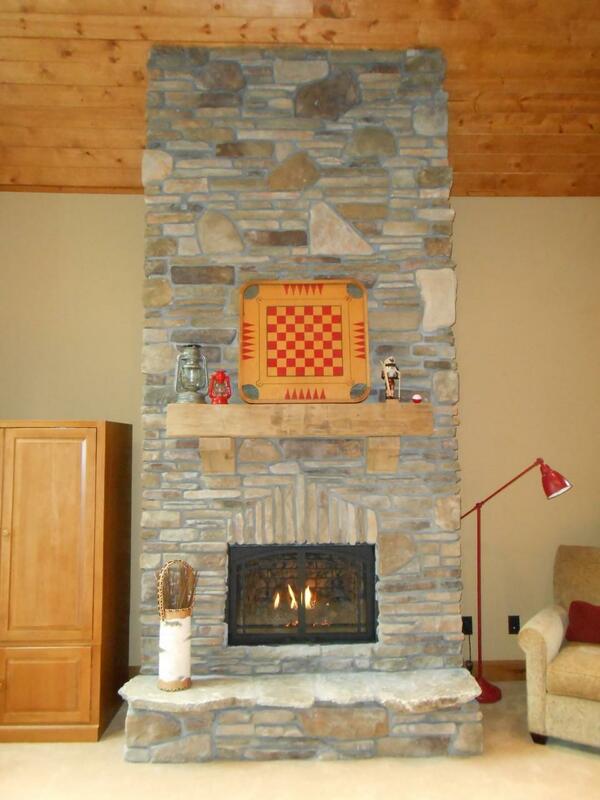 B-Dirt Construction (Brainerd MN) creates custom fireplaces to fit your style and the size of your home. From gas to wood burning, from stone to tile accents, we will help you find what fits your family's style, space and budget! Give us a call (218) 821-5243 for more information - we look forward to hearing from you! It's getting chilly in the Brainerd Lakes Area! Time to entertain your friends and family around the fire! 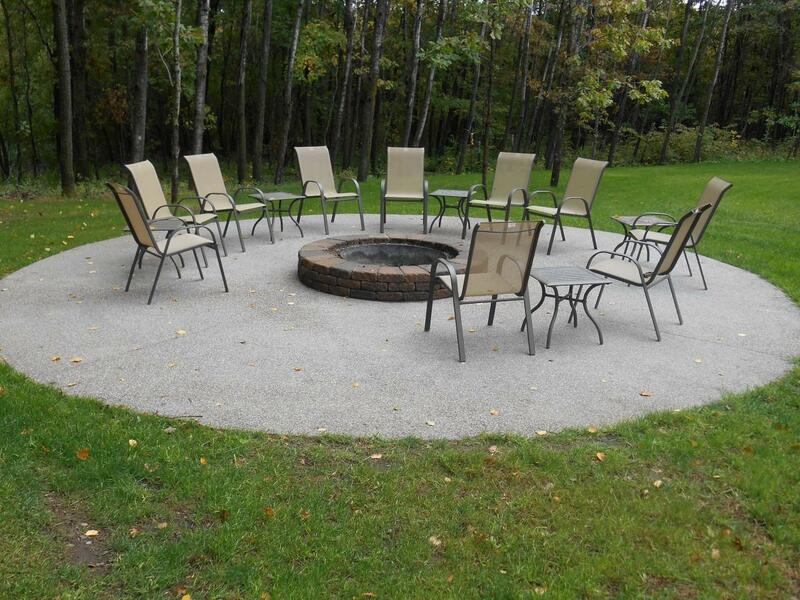 This fire pit is a wonderful addition to a recently built custom home in the East Gull Lake area. Not only is B-Dirt Construction (Brainerd MN) your best home builder for the lakes area but they also help bring your personality to life with home accents such as these. B-Dirt Construction was proud to feature this custom lake home in the Mid-Minnesota Builders Association Fall 2013 Home Tour. This home offers many special features including high vaulted ceilings and a bonus area for guest privacy. The master shower is a show piece with a bench seat, quad shower heads and carefully applied cut-glass tiles. The view of Bass Lake/Gull Lake is breathtaking through the large windows that make up most of the lakeside walls. The interior trim including cable rails, along with other accents, give it a real nautical feel. B-Dirt Construction wishes you a very happy and safe Labor Day weekend! Take time to enjoy the fruits of your labor! 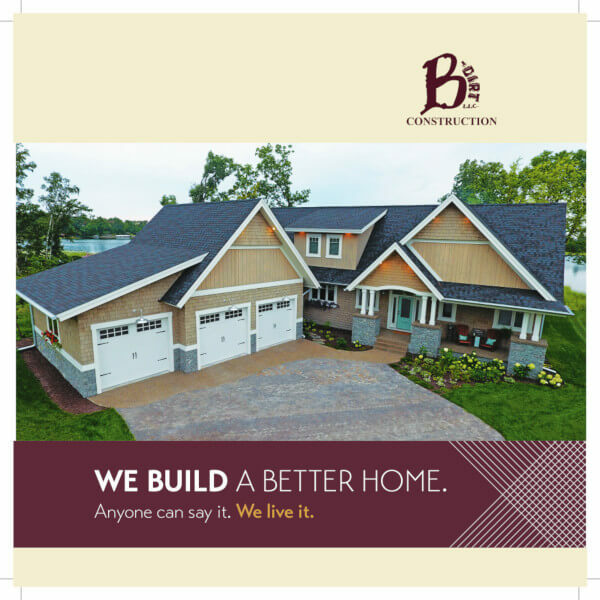 You don't have to go far in the Brainerd Lakes Area before you see a sign for B-Dirt, drive in and check out what's going on and start planning your dream home!